Before rescue dogs are adopted into their forever homes, they are first placed in the safe haven of a foster home. This loving and supportive environment plays a huge role in helping each dog begin to recover from the anguish of their past life and once again know how to experience love and trust. If you’ve always wanted the opportunity to care for a dog but were unable at times to commit to long-term care, then fostering a dog in need is the ideal solution. Fostering a dog is one of the most rewarding experiences you can have (next to adopting, of course). By temporarily taking an animal in need into your home. Fosters save lives!! Being a foster is rewarding and a wonderful learning experience for you and your foster dog. Rescues need fosters to help them care for dogs recently taken from shelters, abusive, neglected or just rehome situations. Opening your home to a foster helps us learn more about the dog’s behaviors and needs so we can find him or her the perfect new home. Fosters will care for the dog as if they were their own and provide the basics such as food, shelter, treats, and TLC. The rescue will cover medical care and medications unless the foster wants to pay for those costs. DC Dogos requires our fosters to help make sure the dog knows basic training and will work with us if a professional trainer is needed. The rescue will seek out adopters and once one is approved then the foster dog gets to go to his or her new family! What if I want to keep my foster? Sometimes while fostering a dog, people realize that they are a good fit for their lifestyle and decide they want to adopt. You may sometimes hear people refer to this as being a “foster fail”! However, it is a good fail when it comes to rescue! If this happens to you then we go through the adoption process for the rescue. There are basically 2 types of fosters. A Short Term foster is one we reach out for that we know will only be a few days to a few weeks. This happens often when we remove a dog from a shelter and know they are going to an adopter or foster but transport needs to be arranged. A Long Term foster may be for months but hopefully less than a year. 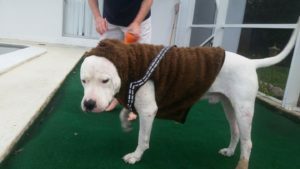 Our goal is to get a dog placed in their new home as soon as we can but sometimes the dog needs medical attention or proper training before the dog can be placed. I can’t foster because I don’t want to get attached. Don’t worry, this is a common feeling. People are afraid to foster because they don’t want to get attached then see the dog leave. It can be sad and tears are often shed by dog fosters when the dog they care for and love moves on to a new family. However seeing updates about your foster makes every tear worth it! Knowing you made a difference in the dog’s life and seeing him or her with his new human parents or kids is forever humbling. It is surely worth trying at least once to see if you make a good foster parent! Fostering-to-adopt is a great way to see if a dog is right for you before committing to adoption. To get started, fill out our adoption application, noting you’re interested in foster-to-adopt. A Foster Coordinator will follow up with you to provide you with more info about the DC Dogos Foster Program. Or click here to open the application in a new window. 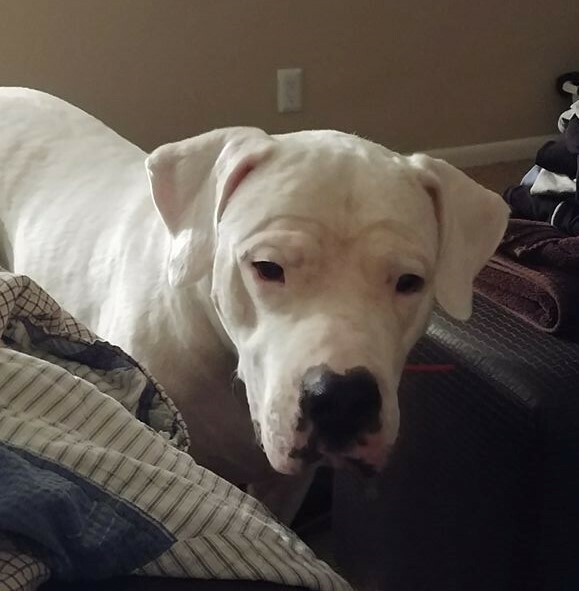 Example of how fostering saved this Dogo. Murdock was dumped at a shelter by his family because they were “moving”. Thankfully a selfless foster stepped up or he would have surely been euthanized at this high kill shelter. Soon we realized his vision was bad and learned he needed cataract surgery but now he can see! 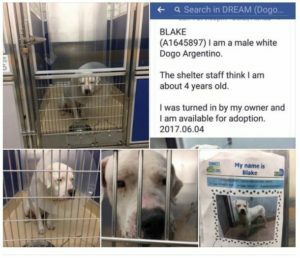 So imagine how scared he felt being dumped in a loud smelly shelter and not being able to see. His skin was irritated and he was totally shut down emotionally. 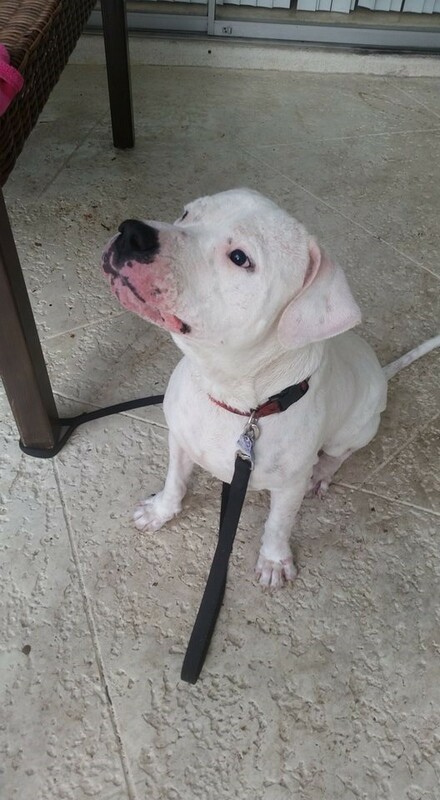 Now he just adores his foster humans, loves treats and toys, and enjoys being a dog! He has gone through some training and soon to be headed to his new family! Application Information – Please read! Thank you for your interest in adopting with DC Dogos Inc.! Please note that we are a US based rescue and currently adopting to the continental United States only. Your application will undergo a thorough review process and may take several weeks to complete. Not all applicants can be approved, and our decisions consider several factors including background and reference checks. We also take into consideration local, state, and residential BSL regulations as a deciding factor. If your application makes it to the final stages DC Dogos Inc will need a copy of your state ID and proof of address. Before final approval we will conduct a home check that will need to include all members of the household. It is important that all members of the household be in agreement when adopting a rescue from us. We are an all-volunteer organization and we ask that our applicants be patient as your application is being processed. Applications are processed in the order they are received and can take 1-3 or more weeks to completely process. 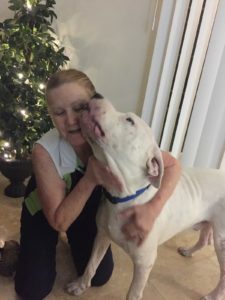 We are very selective on placing our Dogo Argentino rescues but don’t take it personal! Our decisions are based on a combination of our experiences with dogos in rescue and we always act in the best interest of our rescue dogos! Should you have any questions or want to follow up you can email us at adopt@dcdogos. If you are not familiar with the breed please continue to research and ask questions to see if they are the right breed for you and your family!